Technology is dynamic and that dynamism is transforming the world. From the inception and use of internet to the application of artificially intelligent software, the stress of our traditional lifestyle is becoming a thing of the past. In Africa, education is being used as a tool to teach and drive an increase in the use of technology. 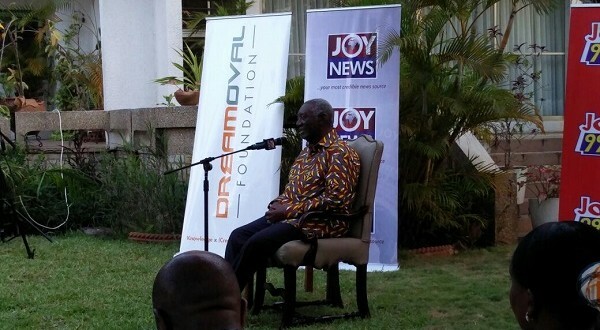 One worthy institution pushing this initiative in Ghana is the DreamOval Foundation. The Foundation’s goal is to promote knowledge in Education and Technology across Africa. 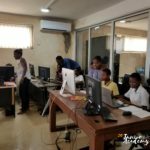 With the implantation of specially designed programmes such as iTeach, Hackathon and African Code Week (ACW), we can rightfully say they are on course. Another acclaimed establishment in Africa spearheading the technological push in Ghana is Ashesi University. 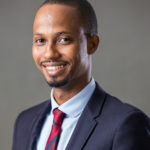 Over more than a decade, Ashesi has established a reputation as a leader in undergraduate education in Africa, with an educational experience that fosters ethical leadership, an entrepreneurial mindset and the ability to solve complex problems. Ashesi University, in a bid to push the tech revolution in Ghana and Africa, has for a number of years been organizing a Code Fair. The Ashesi Code Fair is a competition that seeks to challenge and expose the programming skills of computer science students in Ghanaian tertiary institutions. It has a vision to ignite the zeal in tertiary students to do more, take risks and deliver to outcompete through out-of-the-box thinking to create exceptionally skilled individuals for industry. The individual goals of both institutions to bridge the technological gap by empowering Ghanaians with knowledge has fueled this collaboration to organize Ashesi Code Fair 2016. This year’s edition of the Ashesi Code Fair would be organized on the 26th of November, 2016, at the campus grounds and would be supported by the DreamOval Foundation and MTN Foundation. It is projected to draw about 200 participants, 6 participating schools as well as 5 resource persons. The participating schools for this year’s edition are: Lancaster University College, Ashesi University, Presbyterian College, Valley View University, Ghana Telecom University College and Garden City University College, Kumasi. The fair is anticipated to unearth hidden talents and educate participants. 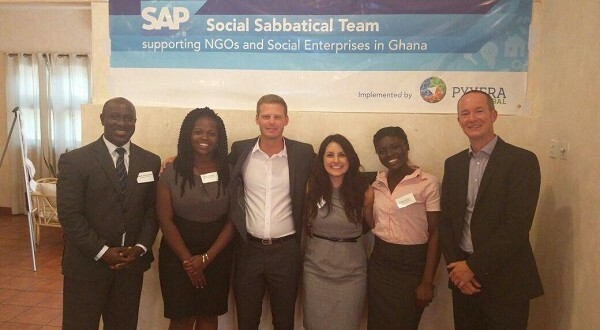 SAP’s ambitious goal of equipping 5 million African youth with basic coding skills by 2025 took a bold step forward following the release of the results of this year’s Africa Code Week. Almost 427,000 youth from 30 African countries completed training between 15 and 23 October, dramatically exceeding the initial participation target of 150,000 students. Africa Code Week is a continent-wide initiative to spark the interest of African children, teenagers and young adults in software coding. 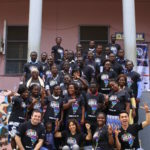 Spearheaded by SAP in 2015 as part of its social investments to drive sustainable growth in Africa, Africa Code Week (ACW) is the story of hundreds of schools, teachers, ministers, community centers, code clubs, NGOs, businesses and non-profits getting together to give birth to the largest digital literacy initiative ever organised on the African continent. Africa Code Week’s long-term goal is to empower more than 200,000 teachers and positively impact the lives of 5 million children and youth within the next 10 years. Key partners include the Cape Town Science Centre and the Galway Education Centre. Strategic Partners include UNESCO, Google, the German Federal Ministry for Economic Cooperation and Development, Ampion, King Baudouin Foundation, ALink Telecom, Camara Education and many more. With the highest engagement ratio of 0,47% youth per 100,000 population and a total of 165,352 introduced to coding during this year’s initiative, Morocco wins the continent-wide Africa Code Week 2016 award, retaining their top spot from last year. Cameroon was second with 0,26% per 100,000 youth engaged and a total of 62,918 introduced to coding, while Lesotho took third place, with an engagement rate of 0,24%. Other highlights for Ghana and Nigeria include:  In Ghana, the DreamOval Foundation offered free coding sessions at various schools, with full support from the Ghana Education Services;  The wife of Ghana’s vice president, Mrs. Matilda Amissah Arthur lent her support to Africa Code Week 2016;  Ghana achieved their target of training 50,000 youth with a final tally of 51,710;  Nigeria enjoyed strong support from the Lagos State’s Commission for Science and Technology, Olufemi Odubiyi, and from the Lagos State’s Special Adviser on Education, Obafela Bank-Olemoh;  In Nigeria, Africa Code Week reached more than 22,000 youth of which 46% were female. Former President John Agyekum Kufuor has urged African youth to imbibe the spirit of sacrifice and hard work, as it is the surest way to make the continent a better place. Speaking at DreamOval Thought Transfer Series (DOTTS) Thursday at his residence in Accra, he shared experiences of his eight-year presidency. Mr Kufuor spoke about how The Kufuor Foundation selected 14 tertiary graduates out of over 500 who applied for training in leadership and governance.Narrating his experience after interacting with the 14 graduates selected, he said he was impressed with the knowledge they exhibited. The successful candidates were sent to Atebubu in the Brong Ahafo Region of Ghana to acquaint them with the countryside and to live with the people so they can relate to the ordinary person on the street when they are in a position of authority. Mr Kufuor said this was not only for tourism but also to enable them to learn and experience other areas of Ghana.He said by so doing, when they come back to the comforts of Accra, they would appreciate applying their knowledge in the various fields of endeavors in helping to improve the lives of others. The Foundation is an independent and nonprofit institution dedicated to the promotion and sustainability of Ghana and Africa’s development. It is inspired by the founder’s passion for practical and sustainable development and aims at advancing effective leadership, good governance and socioeconomic development. According to Mr Kufuor, he is assured that Ghana has a bright future as the young graduates of today are using their knowledge of technology to a greater good. Touching on the highs and the lows of his time as a president, he said it hurts that successive government didn’t see through some of the policies he initiated as president. He mentioned that there were plans to set up an offshore bank in Ghana, a move that would have made Ghana a financial hub on the African continent. However, the former President regrets the administration of late president John Evans Atta Mills abdicated that initiative. The DreamOval Thought Transfer Series (DOTTS) provide the platform celebrated persons to share ideas and knowledge. So far the Series has hosted veteran Ghanaian musician, Egya Koo Nimo to speak about ‘palm wine’ music, Professor Azumah Nelson, the legendary boxer; footballer Kwame Ayew and other people from all walks of life.